It has been a while since we posted an update. The last one was in March and that was a big one that includes the expansion of Punggol. You will see updates like these whenever there are changes that affect you because we believe in constant communication between consumers and ourselves. 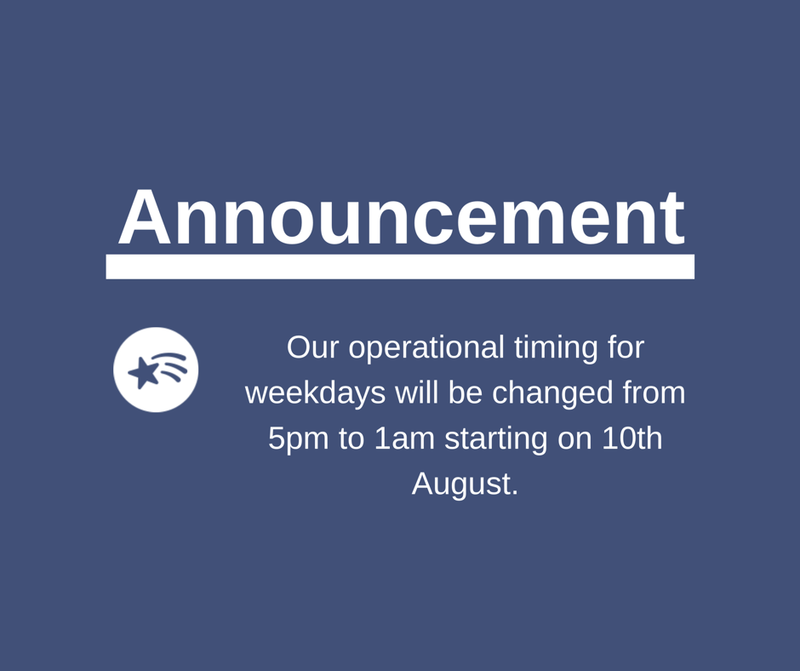 Shiokr will be changing our operational timing for weekdays with effect from 10th August 2018 from 5 pm to 1 am daily. During the last 5 months of operations, we noticed that 90% or more weekdays bookings come in after 5 pm. We feel that our resources would be better distributed with the shorter operational hours and hence the changes we are making. The operational hours for weekends will remain the same as the flow of bookings for weekends are constant throughout the day. Our service delivery timing has improved over the last 2 weeks with many new grooming partners joining our ranks and the changes we are making will also further serve to improve delivery timing. We would also like to thank you for your incredible support during this period and the team at Shiokr are immensely humbled by the many recurring customers that continued to use our services despite hiccups along the way. We are blessed to have you on this journey.